Welcome to the VYCC Store! 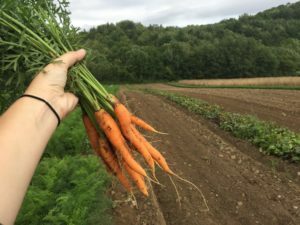 All of our organic-certified produce can be found at the farm stand on our campus in Richmond, Vermont. Use cash, check, or Farm Bucks to purchase more of your favorite vegetables, pasture-raised chickens, eggs, flowers, and herbs! Each purchase cultivates the food security and health of your neighbors while empowering young Vermonters to address the complex issues of hunger, food access, sustainable agriculture, and responsible land use in their community. The farm stand is closed for the winter, but we still have produce to share! Contact Andrew at andrew.whitehead@vycc.org for prices and availability. The Farm Stand at VYCC is a great way to purchase local, organic produce while giving back to your community! What types of food can I find here? lettuces, kale, spinach, and more! Pasture-raised whole chickens and eggs. Interested in sharing in the harvest on a weekly basis? Sign up for a Cultivating Member CSA! *VYCC is a member of NOFA-VT. Produce is certified organic by Vermont Organic Farmers (VOF). 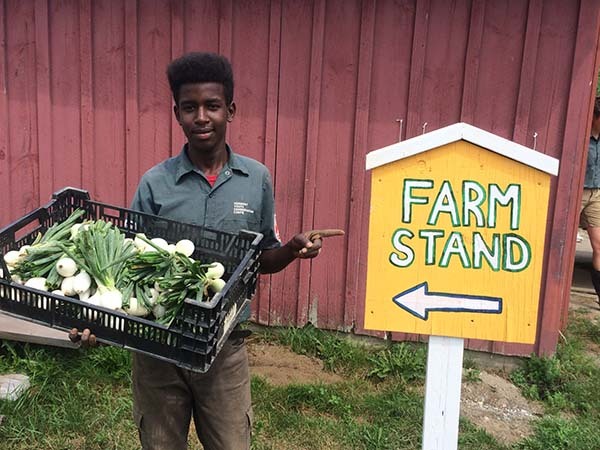 The Farm Stand at VYCC is located at our headquarter farm at 1949 East Main Street in Richmond, VT 05477. Find the white farmhouse next to the West Monitor Barn, pull in past the house, and we are located in the small red barn at the end of the parking lot. Our farm stand is self-serve. We are open every day, including Saturdays and Sundays, until dusk. What sets your farm stand apart from the rest? The Farm Stand at VYCC does more than just sell vegetables. With each purchase, you get a delicious, high-quality crop for your family while also supporting your Vermont neighbors through the Health Care Share program. You also support local youth through employment and professional development through our Food and Farm Program. How can I ensure that your food is safe and clean? Our farm is Certified Organic by Vermont Organic Farmers. We also participate in produce safety planning through the University of Vermont Extension and all of the produce in the farm stand has been thoroughly cleaned in our wash station. 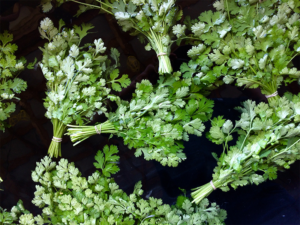 How often do you stock your farm stand? Our farm stand is stocked with fresh harvests Monday through Friday. We always make sure that our fridge is full for the weekend. We accept cash, check, or VYCC Farm Bucks as payment for your farm stand purchase. All checks should be made payable to VYCC. What are VYCC Farm Bucks? 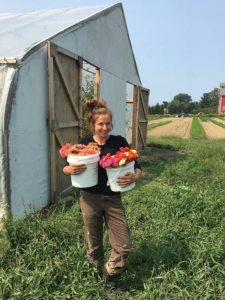 VYCC Farm Bucks are included in our Cultivating Member CSA share, and can be redeemed at the Farm Stand at VYCC to buy additional vegetables, herbs, eggs, or pasture-raised chickens. Contact: Andrew Whitehead for more information.